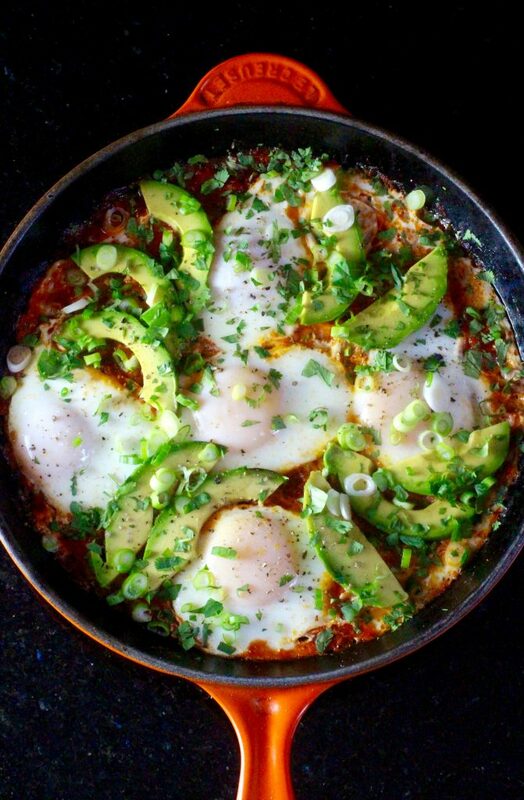 Southwest-Style Shakshuka (Eggs Cooked in Spiced Tomato Sauce) Avocado, Epazote, Pinto Beans Shakshuka, the breakfast/lunch dish that originated in Tunisia that’s wildly popular in Israel, is a perfect brunch item. It is easy to prepare in a single pan but takes a bit more time than weekday fried eggs and toast. The skillet doubles as the serving dish, … Continue reading "Southwest-Style Shakshuka with Avocado, Epazote, Pinto Beans"